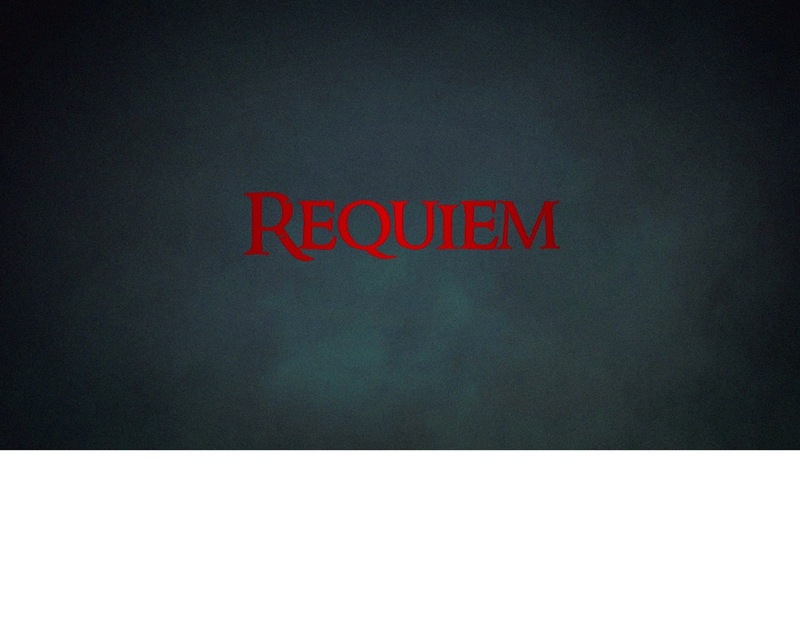 Requiem - Interactive horror film! Matthew Tibbenham of the award winning series, The Wrong Guys for the Job brings you his sophomore project, a horror movie in which you get to choose the outcome. Ever watch a horror movie and want to yell at the characters on screen? ‘What are you doing? Run! Get out of there!’ or ‘Save the girl and hide!’ Now, you can with Requiem. With his first Choose-Your-Own-Adventure style series, The Wrong Guys for the Job, Tibbenham was dissatisfied with the limited ways to watch the series. On YouTube, each video was separate, couldn't be viewed properly on mobile devices, and it was up to the user to load the video that represented their choice. “The technology for interactive video has really progressed in the last couple years,” says Daniel Ballard, Executive Producer and star of Requiem, “things are getting really exciting. Interactive video companies like Interlude, Rapt Media, Adventr, and Vidzor have been popping up everywhere.” In Requiem, the audience experience will be seamless. Whenever the hero has to make a decision, the viewer simply clicks on their choice, ‘Save the Girl,’ ‘Stand & Fight,’ ‘Run & Hide,’ etc. The viewer's decisions shape the outcome of the rest of the story. Now that streaming video has caught up with Tibbenham and Ballard’s vision, they decided the time was ripe to introduce the macabre into interactive storytelling. “We thought the perfect genre to show off what interactive video can really be is horror,” explains Tibbenham, who is no stranger to the genre, having worked as the Second Unit Director of Sinister and the assistant to Scott Derrickson. “There's something about combining interactive video and horror that makes it even scarier. You'll be on the edge of your seat waiting to make the next decision and wondering what's just around the next corner." With that level of personalization, the viewer can be truly terrified. No huge amounts of blood and gore are necessary, simply placing the viewer directly into the story will be enough to keep them terrified and looking over their shoulder in the comfort of their own living room. It’s an effort that Edgar Allen Poe himself would be proud of. Requiem is currently raising funds on Indiegogo and will begin filming this winter.